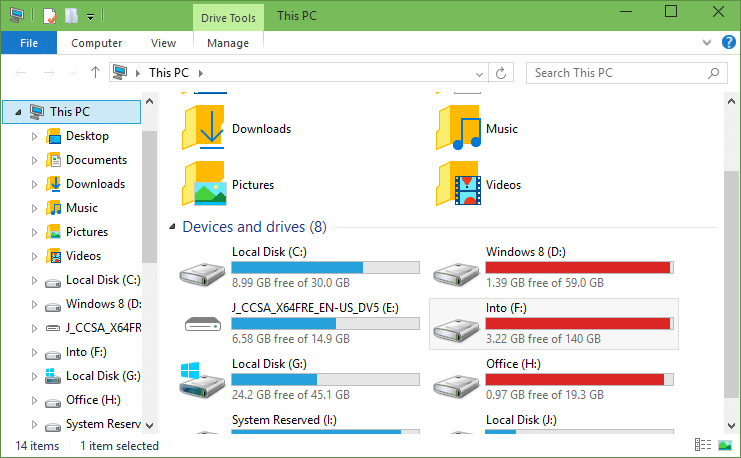 In Windows 7 and Windows 8/8.1, File Explorer opens to Computer or This PC. That is, when we click the File Explorer icon or when you use Windows logo and E keys, we get Computer (My Computer) or This PC. 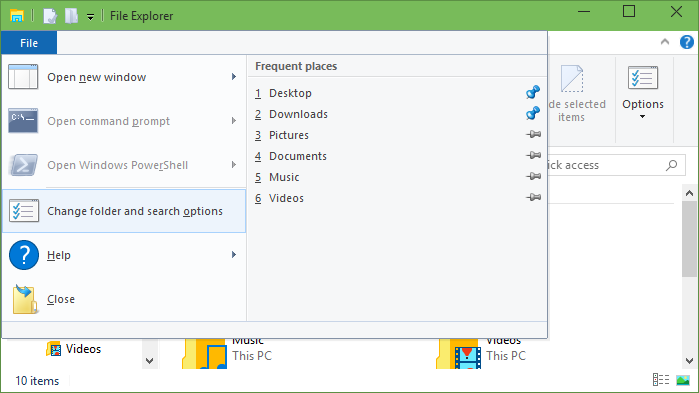 But in Windows 10, File Explorer opens to Quick Access by default. Quick Access (known as Home in earlier builds) shows frequently accessed folders (maximum of ten) and recently accessed files (maximum of twenty) so that you can easily access your recently accessed files and folders. 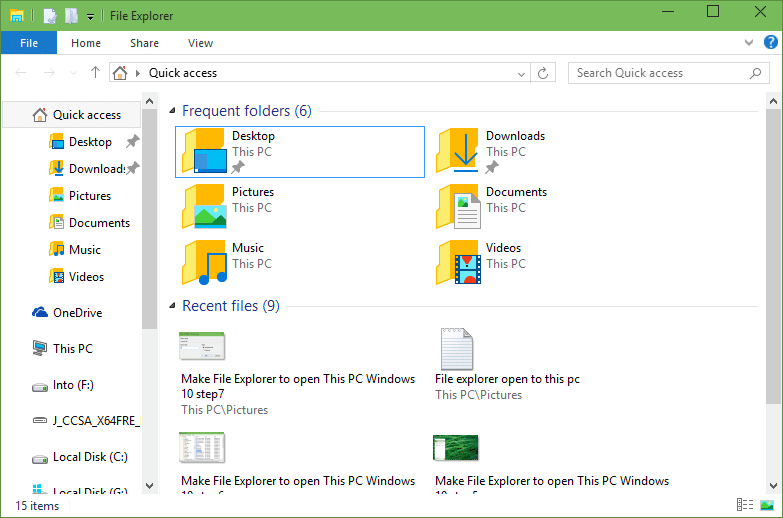 The Quick Access is handy for those who would like to see all recently accessed files and folders upon launching the File Explorer. Once Quick Access is opened, you need to click the This PC icon in the left-navigation pane to switch to This PC. Windows users who have accustomed to seeing This PC or Computer upon launching File Explorer might want to see This PC or Computer in Windows 10 as well. In one of our earlier posts, we talked about using AutoHotKey software to make Windows+E hotkey open This PC or Computer in Windows 10. Luckily, it’s now possible to make File Explorer open This PC instead of the Quick Access. Windows 10 now allows you to configure the File Explorer open to This PC without the help of any third-party utilities. 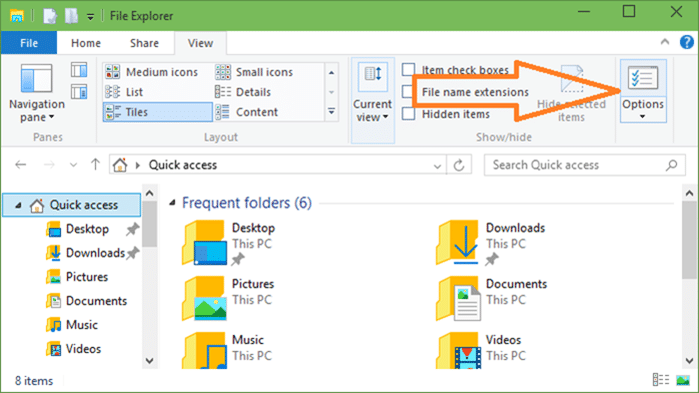 An option is present under Folder Options to make File Explorer open This PC. Simply follow the given below instructions to make File Explorer open This PC instead of Quick Access in Windows 10. 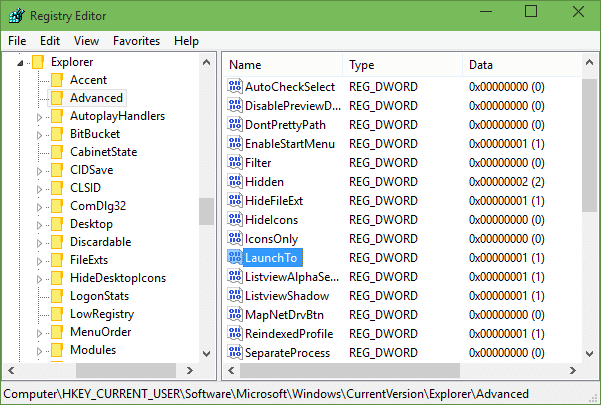 Step 1: Click on the File Explorer icon in the taskbar to open Quick Access. Alternatively, you can open up any folder or drive. Step 2: Click the View tab and then click Options button (see below picture) to open Folder Options dialog. 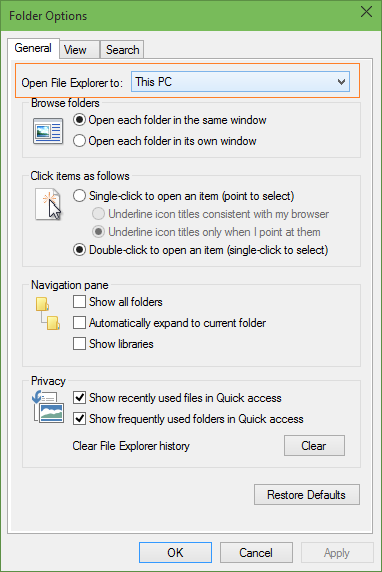 Step 3: Here, under General tab, select This PC from the drop-down menu right next to Open File Explorer to option. Step 4: Finally, click OK button. That’s it! You don’t need to restart or log out to see the change. From now onwards, File Explorer will always open to This PC instead of Quick Access. Step 1: Open up a folder located anywhere on your PC. Step 2: Click the File menu button (located upper-left of the window) and then click Change folder and search options to open Folder Options. Step 3: Under General tab, expand the menu next to Open File Explorer to option and then select This PC from the drop-down menu. If you are unable to set File Explorer to This PC in Windows 10 using the above mentioned methods, you can manually edit the Registry to do so. We recommend you create a manual system restore point before editing the Registry or create a backup of the Registry key that you’re going to edit. Step 1: Run Registry Editor. 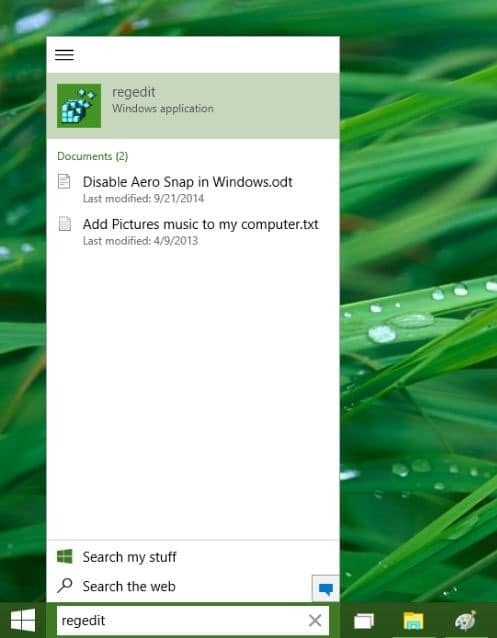 To do so, type Regedit in the Start/taskbar search box and then press Enter key. Click Yes button when you see the UAC prompt. 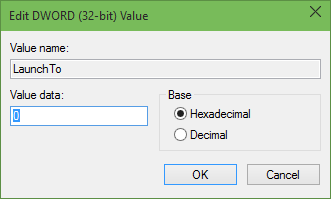 Alternatively, you can type Regedit in the Run command box and then hit Enter to open Registry Editor. Step 3: On the right-side, look for the value titled LaunchTo. Double-click on LaunchTo and then change the Value data from 1 to 0 (zero) to make File Explorer always open to This PC. Click OK.
Close the Registry Editor. Good luck! Confirmed that the value needs to be “1” not “0”. “0” causes an error when launching Explorer. “2” is the quick access value. I have build 14986 and this does not work either way, any way! Any other ideas??? I saw another tip about deleting and adding a folder to the localmachine somewhere maybe it will work? I have followed you steps and results are really working.